Porcelain veneers are one of the most popular and innovative cosmetic dental treatments available today. Covering a wide range of aesthetic issues, these tooth-shaped, wafer-thin shells of translucent ceramic disguise the front side of teeth marred by stains, alignment problems and fractures. Could porcelain veneers from Dr. Philip A. Lisk in North Raleigh improve your smile? The best candidate for porcelain veneers has teeth free from decay and multiple restorations such as large fillings and crowns. After a thorough dental exam and digital X-rays with the team at Dr. Philip A. Lisk Dentistry, the veneer patient undergoes gentle tooth enamel preparation. Rarely requiring any anesthetic, enamel preparation involves removal of a thin portion of tooth enamel (approximately half a millimeter) from the front side of each tooth which will receive a porcelain veneer. This resurfacing allows sufficient room in the mouth for the veneers to function comfortably. Additionally, Dr. Lisk takes oral impressions and sends them, along with specific instructions, to an outside dental lab. A master ceramist creates a three-dimensional model of the patient’s mouth and individually crafts the porcelain veneers. An important goal is creating tooth shape, size and color that blend in with the natural smile and that are appropriate for the individual’s facial features. Porcelain veneers really are works of art. At the next appointment, the North Raleigh dentist etches the tooth surfaces and bonds the porcelain veneers in place. He ensures the laminates fit well, cover the teeth completely and have natural color, an effect he creates with the bonding cement. He adjusts the veneers so teeth bite together correctly. Dr. Lisk tells patients that living with porcelain veneers is just like living with your natural teeth. Veneers resist stains and strengthen the teeth, too. Patients simply brush twice a day with a soft toothbrush, and floss daily in between and around teeth to remove plaque. They avoid very sticky and hard foods such as taffy and peanut brittle, and do not chew ice cubes or hard candy. Individuals with veneers should never open plastic packaging or bottles with their teeth. Frankly, if a habit is bad for natural teeth, it’s bad for veneers either. Also, it’s vital to get semi-annual exams and cleanings with Dr. Lisk. He will check the condition of your veneers along with other cosmetic treatments or restorations such as porcelain crowns. With this routine care, porcelain veneers stay strong, stain-free and sparkling for many years. 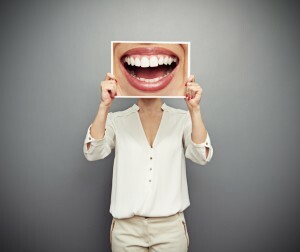 Could Porcelain Veneers Help You Smile More? Why not talk it over with Dr. Lisk during a personal smile consultation? Think about how you would like your finished smile to look, and your dentist will help get you there. Please contact Dr. Philip A. Lisk Dentistry today for a personal appointment.